The Buzz Piece » Are Portable Gaming Consoles On the Way Out? HomeGamesAre Portable Gaming Consoles On the Way Out? May 03 Are Portable Gaming Consoles On the Way Out? The decline in the number of portable gaming consoles released on the market in recent years has some wondering if Sony's PlayStation Portable may be among the last of its kind. It has been more than five years since Sony released the PlayStation Portable—the last major release of a portable gaming console following in the tradition of innovation of portable gaming epitomized by Nintendo’s famous line of Game Boy systems. Although Sony has continued support of its PlayStation Portable system as Nintendo has done with its competing handheld console—the DS. One decade ago, the evolution of major portable gaming consoles appeared to be rapidly on the upswing. From 1998 through 2004, Nintendo alone released three systems with new graphical engines three years apart from one another—the Game Boy Color in 1998; the Game Boy Advance in 2001, and finally the DS in 2004. 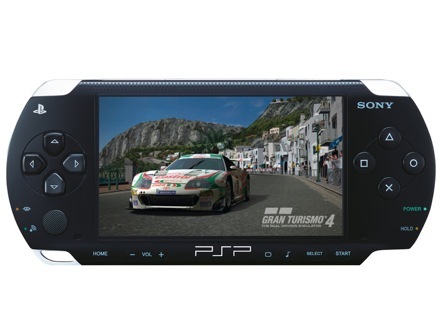 Although handheld consoles other than the Sony PSP have seen recent release, most have remained largely obscure on the market by comparison. Both the DS and PSP portable gaming consoles have enjoyed sufficient commercial success to receive continued support; however, the lack of any new major competition or rapidity of innovation reflective of years past may signal that—for the foreseeable future—handheld gaming in the innovative style of the Game Boy may soon fade. Aside from economic explanations for the apparent slowdown of this type of console may very well be the coincident evolution of portable electronics with application capabilities, such as the iPhone or the newly released iPad from Apple. With popular video game franchises such as the Madden NFL series now releasing versions for the iPhone, it appears that portable gaming as it has been known for years may not be entirely on the way out, but simply making its transition from the single purpose Game Boy style console to new multipurpose technological platforms.